Last month, we saw a focus on bunkers, this month we’re taking it back to the tee for some useful tips on DRIVING the ball. 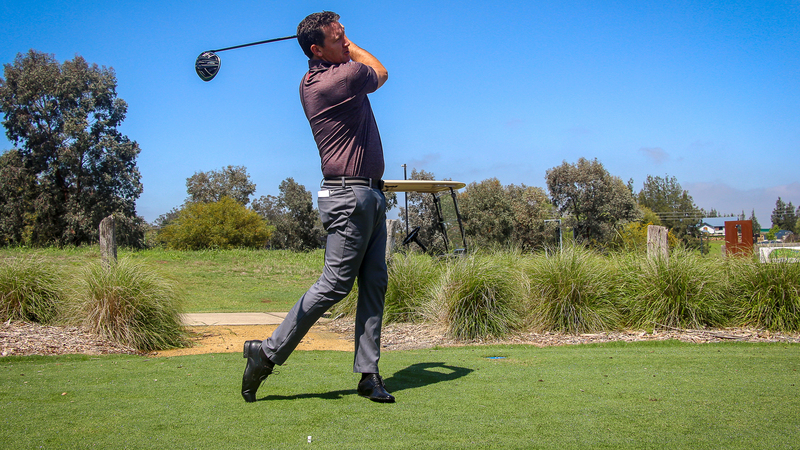 Lynwood poses a challenge to most golfers off the tee, as we have a fairly lengthy golf course, so positioning your ball in the fairway is essential and sometimes getting the ball in play is good enough on your bad days even if it means being in the rough. To start with a couple of basics it’s probably best to have a realistic expectation of how many great shots we should average with driver each round. Looking at PGA and LPGA Tour averages, it’s worth noting that the best men and women in the world are averaging a little over half of all tee shots in the fairway. There is certainly rare days where they don’t miss, but as a whole the inherent nature of golf means we are all trying to avoid big numbers, rather than hit perfect shots every time. The characteristics of optimum driver ball flight mean we want ideal launch angles and spin rates, for our individual club head speeds. So a driver fitting for players with more power can be an advantage. I’d also recommend as a whole, for slower club head speeds, both men and women ensure they have enough loft on their driver. Another useful statistic is that the PGA Tour average attack angle with driver is 1.3 down, which means that we don’t have to hit up 5 degrees to absolutely make it work for us. Optimum numbers with driver can perhaps produce distance by hitting up, however you’re going to move your body and the club in your own individual way, so I’d rather focus on a neutral path with driver, which is the direction the driver moves at the bottom of the swing. I believe the lowest hanging fruit for improvement with driver is by focusing on the correct fundamentals of your set up position, as most golfers set up with level shoulders and too much weight on the front foot. While this can help produce a downward attack angle with an iron, with driver we obviously don’t want to take a divot, so remember that leaning a fraction away from the target with your top half at your set up position can keep that club sweeping rather than digging at the bottom of the swing. Also “finishing” your driver motion in balance is a key indicator that you we’re also in balance “during” your swing as well.